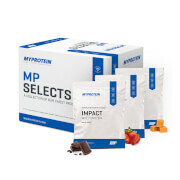 With 20g of protein and 100 calories per serving, Impact Diet Isolate is a comprehensive protein blend designed to give you the greatest amount of protein at the lowest possible price. Iso:pro and whey protein concentrate form 80% of the blend, with protein contributing to the growth and maintenance of muscle mass. Iso Pro is a rich source of whey isolate with zero sugar. On top of this we have added 1g of Carnipure™, an essential amino acid, created in the body from the amino acids lysine and methionine. Green Tea Extract and Guarana provide 30mg of caffeine per serving with caffeine contributing to improved focus and concentration throughout the day. 250mg of Choline contributes to normal lipid metabolism, playing a vital role in the conversion of fat into energy. Choline also contributes to the maintenance of normal liver function, an organ that plays a significant role in the body’s metabolic processes. 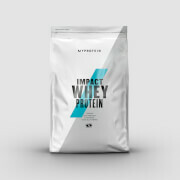 For a serving of Impact Diet Isolate, simply mix 25g (1 large scoop) with 250-300ml of water, shake and enjoy! To top things off, we are selling Impact Diet Isolate in a range of delicious flavours to make this product taste as good as it is! 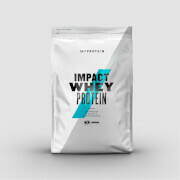 For a serving of Impact Diet Isolate, simply mix 25g (1 large scoop) with 250-300ml of water, shake and enjoy! Store in a cool, dry place away from direct sunlight. This product is intended to be used alongside an active lifestyle and a balanaced diet. Suitable for vegetarians. Chocolate Mint Flavour: Whey Protein (90%) (Whey Protein Isolate (Milk) (71%) Emulsifier: Soy Lecithin, Whey Protein Concentrate (Milk) (19%), Emulsifier: Soy Lecithin), Flavouring (Fat Reduced Cocoa Powder, Sweetener: Sucralose, Flavourings), Carnipure® Tartrate Powder (4%) (L-Carnitine L-Tartrate), Choline Bitartrate (1%), Green Tea Extract (0.4%), Guarana (0.4%) (Guarana Seed Powder, Caffeine, Colour (Plain Caramel), Guarana Extract). Chocolate Smooth Flavour: Whey Protein (90%) (Whey Protein Isolate (Milk) (71%) Emulsifier: Soy Lecithin, Whey Protein Concentrate (Milk) (19%), Emulsifier: Soy Lecithin), Flavouring (Fat Reduced Cocoa Powder, Sweetener: Sucralose, Flavourings), Carnipure® Tartrate Powder (4%) (L-Carnitine L-Tartrate), Choline Bitartrate (1%), Green Tea Extract (0.4%), Guarana (0.4%) (Guarana Seed Powder, Caffeine, Colour (Plain Caramel), Guarana Extract). Banana Cream Flavour: Whey Protein (89%) (Whey Protein Isolate (Milk) (70%) Emulsifier: Soy Lecithin, Whey Protein Concentrate (Milk) (19%), Emulsifier: Soy Lecithin), Flavouring (Colour (Curcumin), Sweetener: Sucralose, Flavouring), Carnipure® Tartrate Powder (4%) (L-Carnitine L-Tartrate), Choline Bitartrate (1%), Green Tea Extract (0.4%), Guarana (0.4%) (Guarana Seed Powder, Caffeine, Colour (Plain Caramel), Guarana Extract). Strawberry Flavour:Whey Protein (90%) (Whey Protein Isolate (Milk) (71%) Emulsifier: Soy Lecithin, Whey Protein Concentrate (Milk) (19%), Emulsifier: Soy Lecithin), Flavouring (Colour (Beetroot Red), Sweetener: Sucralose, Flavouring), Carnipure® Tartrate Powder (4%) (L-Carnitine L-Tartrate), Choline Bitartrate (1%), Green Tea Extract (0.4%), Guarana (0.4%) (Guarana Seed Powder, Caffeine, Colour (Plain Caramel), Guarana Extract). Vanilla Flavour: Whey Protein (88%) (Whey Protein Isolate (Milk) (69%) Emulsifier: Soy Lecithin, Whey Protein Concentrate (Milk) (19%), Emulsifier: Soy Lecithin), Flavouring (Flavouring, Sweetener: Sucralose), Carnipure® Tartrate Powder (4%) (L-Carnitine L-Tartrate), Choline Bitartrate (1%), Green Tea Extract (0.4%), Guarana (0.4%) (Guarana Seed Powder, Caffeine, Colour (Plain Caramel), Guarana Extract). The nutritional information is based on the Banana Cream Flavour version, when choosing an alternative flavour the nutritional values may vary. Ready-to-mix protein powder blend, made with whey protein isolate & whey protein concentrate, with added Carnipure® Tartrate (L-Carnitine L-Tartrate), Choline, Green Tea Extract, and Guarana.